I have been Gordon’s friend for over 40 years (Where does the time go). I think the friendship started at a racetrack although it may have been in the pub, and I’m not sure of the exact date but the pub was probably the Trowel & Hammer. That’s where I also met Gordon’s first wife, Brenda. We both liked drag racing and went to many a race meeting, helping on cars and later as spectators. The real close friendship with Gordon starts one day at Santa Pod. Whilst sitting on the spectator bank watching some pretty average racing, we both thought - we could do better than that. So we embarked on a small tour of the UK looking at a race bikes to buy, eventually buying from Norwich. Once the bike was found we then needed a moped to tow the bike at the track. We found one at a breakers and I duly rode it around. “Fine” I said, “now it’s your turn”. The look on Gordon’s face was priceless, Gordon just realised HE was going to have to ride it, something he had never done. And even 20 years later he’s was still never happy on two wheels. By the end of that first year we weren’t just friends, we were a team. It did however take us 6 years to actually “do better than that” when we won the ACU Competition bike championship and both track championships and the FIM/UEM Fuel bike round at Hockenheim. One of the things I noticed with Gordon over the years was he was very observant - noticing things I hadn’t, offering suggestions and at times asking me to explain something again, only for me to realise that what I just suggested couldn’t work. Early on in the racing I created a website for the bike, with Gordon annotating the pictures and achievements and writing the race report. He also wrote “Ramblings of a Crewman” for the website which accurately describes what’s needed to crew for a race team and sums up Gordon very well as I found on more than one occasion. Every now and then in between race meetings he would phone me, talking for ages about anything and everything, with the conversation disappearing off on tangents with extra details to get to a point you already guessed at, and after hanging up, not remembering the thread of the conversation in the first place. I must say that without Gordon the team would not have been able to do what it did. Every trophy, every award, every record set, and, every championship won, was as a result of his input and diligence. I thank him for that. Last year I found out Gordon was diagnosed with Bowel cancer. An operation in February followed by 5 months of chemo had little effect. Later that year whilst on holiday in Derbyshire a bad infection put Gordon in hospital again. Visiting him there was like carrying on the conversation where we left off last time. Cancer was something he had, and was dealing with it. In September 2014 Gordon and Joy married. Going to their wedding you would not know anything was wrong. Gordon was still, well Gordon, the same, as I have always known him. Even forgoing his medication so he could have a beer on his wedding day. 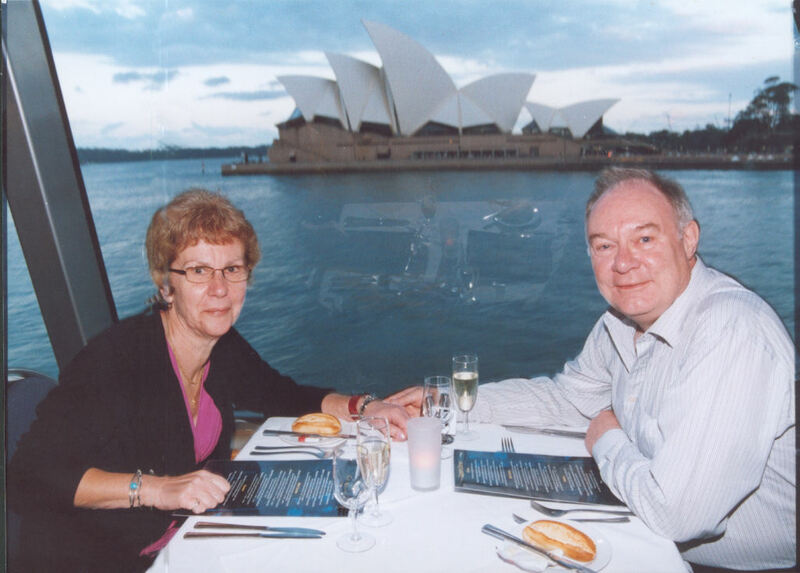 At the end of October Gordon was back on Chemo but after one session and, within a week, he was back in hospital with another infection. I visited Gordon few more times during 2015, the last being at the Pricilla Bacon Unit, or as both myself and Gordon knew it from our own early visits, the Jenny Lind. My last conversation, just a few weeks before he passed away, was like all the others. Still Gordon. 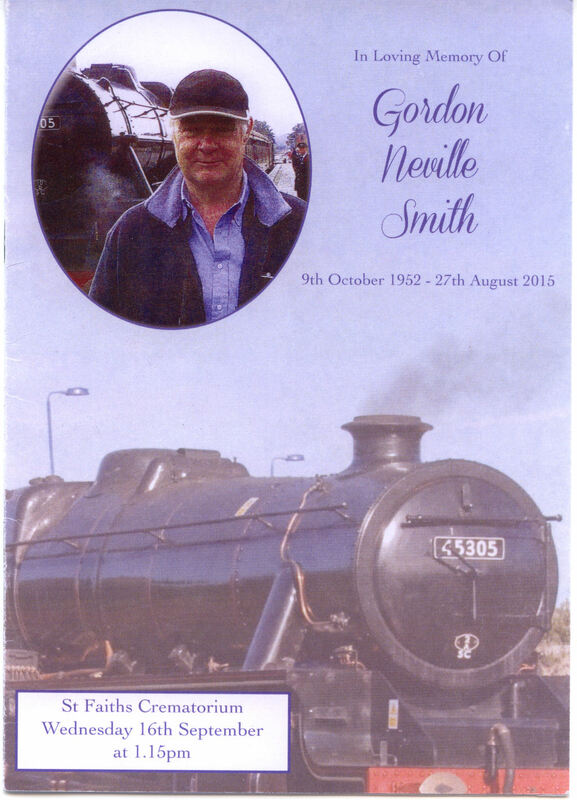 Gordon leaves behind his wife Joy, his mother Valerie, his Sister Rosalind and Brother Raymond plus their extended families. God speed in the next life Gordon, you will be missed.